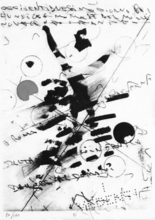 Although Alighiero Boetti (born 16 December 1940 in Turin, Italy, and died 24 April 1994 in Rome) called himself a painter, he worked with a broad range of media and collected all kinds of materials and images. Friday is Top day! Every other Friday, Artprice publishes a theme-based auction ranking. 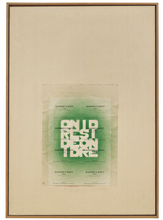 This week: the top ten auction results for Arte Povera. With the spring auctions at Christie’s and Sotheby’s and the HK Art Fair, May has become one of the most active months of the years for the Hong Kong art market. Every fortnight Artprice posts a theme-based auction ranking. This week, the focus is on women artists. The ten best auction results in 2010 for works by Contemporary female artists. 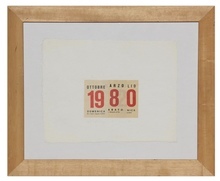 Updated on 24 Apr 2019: Alighiero BOETTI (1940-1994) (Italy) is an artist born in 1940 The oldest auction result ever registered on the website for an artwork by this artist is a painting sold in 1987, at Christie's , and the most recent auction result is a drawing-watercolor sold in 2019. Artprice.com's price levels for this artist are based on 2,803 auction results. Especially: painting, print-multiple, sculpture-volume, photography, drawing-watercolor, tapestry, furniture, objects. 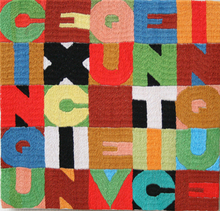 2 art works by artist Alighiero BOETTI (1940-1994) will soon be available in auction rooms. 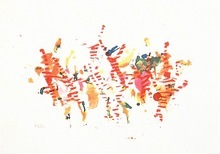 You can also discover 23 artwork(s) currently for sale on Artprice's Marketplace. 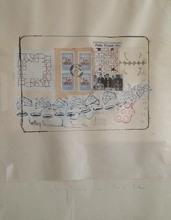 , sold by 20 Artprice store(s).